Dale Oscar Johnson was born to Oscar and Frieda (Prawitz) Johnson in Oakland, Nebraska on September 24, 1928. He passed away November 13, 2016 at Premier Estates of Fremont in Fremont, Nebraska, at the age of 88 years. Dale was raised in Oakland, and graduated from Oakland High School, where he was a star athlete in football, basketball and baseball. He married Jeanette Carson on October 12, 1950. Together they raised four daughters; Kristie, Janelle, Marla and Lynnette. Dale and Jeanette were long-time members of First United Methodist Church in Oakland. They were active members of Golden Oaks Senior Center in Oakland. Dale made his career as a linotype and printing press operator, working in Oakland, Lyons, West Point and Walthill for many years. Following his retirement, he was co-owner of Dime Store Days antique mall in Fremont until 2012. Dale was an extraordinary gardener, perennially winning blue ribbons for his vegetables and flowers. It will be difficult to find a warmer, more genuine and friendly man, and he will be missed by all who knew him. He was preceded in death by his parents; brother, Gene; sister, Betty and son-in-law, James Peterson. He is survived by his wife of 66 years, Jeanette; brother, James (Joanne) Johnson of Lyons; sister-in-law, Bonnie (Morris) Fleischman of Oakland; daughters, Kristie (Patrick) Peters of Crystal, MN, Janelle (Tom) VanScoy, Marla Peterson and Lynnette (Curt) Goracke all of Fremont; granddaughters, Heather (Bob) Batt, Brooke (Chris) Goracke, Haley (Tom) Fruen, Emily Perina, Celia (Jakob) Peters; grandsons, Jason (Darcy) Martin, Seth Perina, Andrew (Brittney) Perina, Spencer (Jodee) Goracke, Joseph Peters; eleven great grandchildren, Gabi, Josh, Devin, Ellis, Carter, Reese, Cain, James, Drew, Addison, Rayne, Mason; many nieces, nephews, cousins and friends. The Funeral Service is Thurs., Nov. 17th at 11:00 a.m. at the First United Methodist Church in Oakland NE. Memorial Contribution to the Alzheimer’s Association Nebraska, 11711 Arbor Street, Suite 110, Omaha NE 68144. Eva Dale (Miller) Climer was born on April 13, 1927 in rural Craig, Nebraska, near the Bertha Community, to Hurley and Hattie (Patrick) Martin Miller. She passed away on August 17, 2016 at Oakland Heights Nursing Home in Oakland, Nebraska, at the age of 89 years. Eva enjoyed horseback riding, sledding, and other outdoor activities with her childhood friends and family. She attended rural Bertha school District 36 and graduated from Oakland High School in 1944. After graduation, Eva moved to Omaha, Nebraska where she worked for Mutual of Omaha. Eva married Donald Climer on December 3, 1945 at the First United Methodist Church in Oakland. To this union three children were born, Michael, Randal and William. In 1945, Eva and Don moved to Thurston County and began farming. She was an active member of the First United Methodist Church in Walthill, Nebraska. In the spring of 1956, they moved to the Bertha area and continued farming. Eva was a member of the Divide Center Presbyterian Church, where she taught Sunday school and youth groups for many years. She was also a member of the Mariners. After Don’s death in 1999, Eva moved to Lyons, Nebraska where she was an active member of First Presbyterian Church. She enjoyed family activities, and loved attending her grandchildren’s sports events. Eva loved her flower garden and enjoyed sewing and crocheting. Eva was preceded in death by her parents; husband, Don; six brothers, Irvin Miller, Glen Miller, Elwood Miller, Raymond Martin, William Miller, Robert Miller; two sisters, Lula (Miller) Helms, Nadine (Martin) Simpson; one grandchild, Claude Climer. Christopher Climer, Claire Climer, Charise Climer; seven great grandchildren, Dylan Climer, Danielle Climer and Chance Wright, Reagan Wilson, Hailley Wilson, Addie Brown, Bess Brown, Kingston Climer; other relatives and friends. Memorial Visitation is Mon., Aug. 22nd from 5:00-7:00 p.m. at Pelan Funeral Services in Lyons. Family will receive friends with Prayer Service at 7:00 p.m. 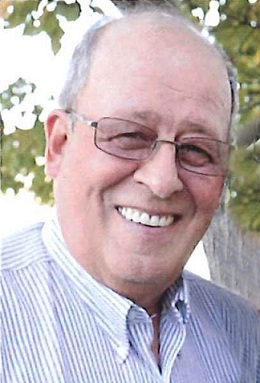 The Memorial Service is Tues., Aug. 23red at 1:00 p.m. at Pelan Funeral Services in Lyons. 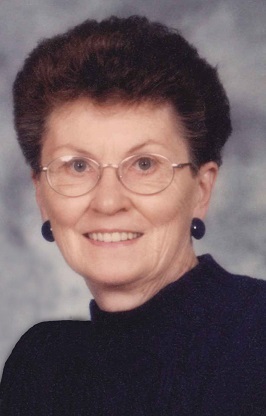 Yvonne Shirley (Anderson) Stromquist, 79 years, of Oakland, Nebraska was born September 13, 1935 in Oakland to Leslie and Ellen (Seberg) Anderson. She passed away Sunday, November 16, 2014 at Oakland Heights in Oakland. Yvonne attended a country school named Morningside District 17 until the 8th grade. After that, she attended Oakland High School, and graduated in 1952. Yvonne married Robert “Bob” Stromquist on April 25, 1952 in Marysville, Kansas. They first moved in with Bob’s brother Donny, and in 1953 they moved into their house on 108 N. Logan in Oakland. In 1959 Bob and Yvonne bought an acreage outside of Oakland, and moved their three children, Tim, Alan, and Laurie with them. While at the acreage, they had two more children, Marcia and Suzanne. Yvonne helped Bob with his business by taking calls and staying home with their children. She was very active in the Evangelical Free Church, Ladies Aid and Mount Olive Extension Club. She loved to bowl, play cards, play pickle cards and spend time with her friends and family. She was preceded in death by her parents; brother, Lyle Anderson; sister, Marianne Johnson; and son-in-law, Tom Hanna. She is survived by her husband, Bob Stromquist; sons and daughters-in-law, Tim (Becky) Stromquist, Alan (Paula) Stromquist, all of Oakland; daughters and sons-in-law, Suzanne (Jeff) Johnson, of Norfolk, Nebraska, Marcia (Todd) Walters, of Greeley, Colorado, Laurie Hanna, of Norfolk; brother and sister-in-law, Clair “Butch” (Janice) Anderson, of Oakland; sister-in-law, Anne Anderson, of Lyons, Nebraska; 13 grandchildren; 18 great grandchildren; many nieces, nephews and cousins. VISITATION: Tuesday, November 18, from 4-7 pm with family receiving friends at Pelan Funeral Home in Oakland. Visitation will also be held at the church one hour prior to service. EUGENE “GENE” JOHNSON, 65 years, of West Point, Nebraska, passed away Saturday, August 30, 2014, at West Point Living Center in West Point. Gene was born September 3, 1948, in Oakland, Nebraska, to Lynder and LaMae (Jacobson) Johnson. He attended Cuming County District No. 14 rural school and graduated from Oakland High School in 1966. Gene then served in the U.S. Marie Corps from 1967 until his honorable discharge in 1969. He returned to school, graduating from Southeast Community College at Milford in 1970. On April 3, 1970, Gene and Carole Anderson were united in marriage at First Evangelical Lutheran Church in Oakland. They had three children, Clint, Eric and Rachel. Gene worked in Lincoln for Bryant Heating and Air for thirteen years before returning to his family farm in Cuming County in 1984. Gene was a member of First Evangelical Lutheran Church in Oakland, where he served on the church council. He was preceded in death by his father, Lynder; father-in-law, Harold Anderson; sister- and brother-in-law, Barbara and Frank Furneisen; nephew, Scott Wright. Survivors include his wife, Carole of West Point and his three children and nine grandchildren, sons and daughters-in-law, Clint and Erin Johnson and their four children, Nick, Megan, Preston and Kallie of Ft. Calhoun, NE, Eric and Mindy Johnson and their two children, Camryn and Gavin of Lincoln, NE of Lincoln, NE, daughter, Rachel and Adam Petersen and their three children, Britton, Evan and Joel of Lincoln, NE; his mother, LaMae Johnson of Oakland, mother-in-law, Doris Anderson of Oakland; sister, Merna and Arlyn Pierce of West Point, Nebraska; many nieces and nephews, other family and a host of friends. FUNERAL SERVICE: Tuesday, September 2nd, 10:30 a.m. at the First Evangelical Lutheran Church in Oakland. VISITATION: Monday, 1 – 8 p.m. with the Family receiving friends from 5 – 7 p.m. at Pelan Funeral Home in Oakland. Visitation Tuesday will be held at the church one hour prior to the service.